Artist's rendering of the proposed Dallas Convention Center Hotel. 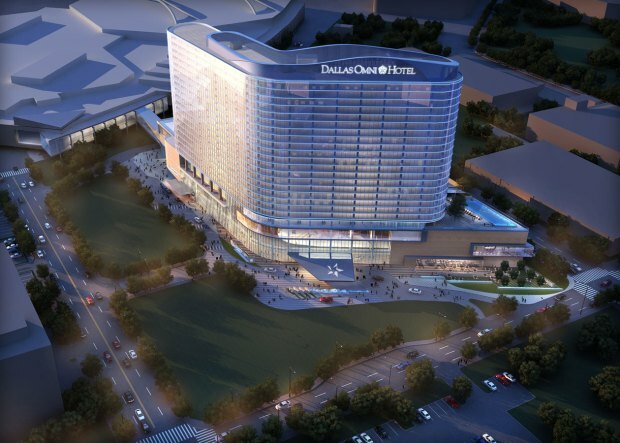 After months of negotiations, the maximum price of the proposed Dallas Convention Center Hotel will be $356 million. This figure is $44 million less than Mayor Tom Leppert was eyeing in August -- at that time, he mentioned construction costs would hit $400 million. 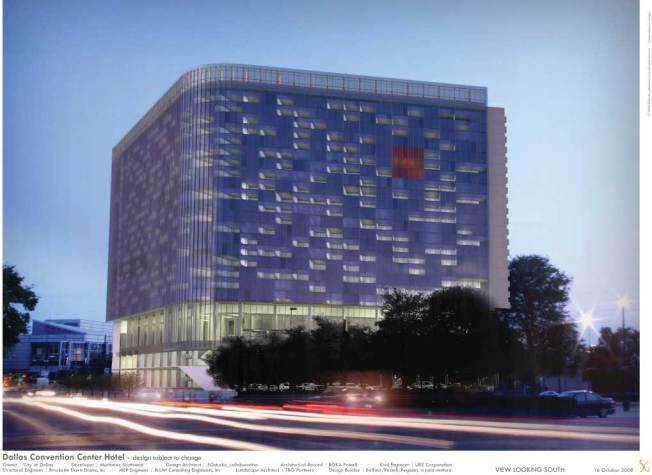 The agreed upon price tag for the hotel will be presented at Wednesday's Dallas City Council meeting before the council votes to give the agreement final authorization. Officials say they don't know when construction on the hotel would start.